AVALON — Each year, Catalina Island’s Tuna Club allows visitors to explore a major part of island history: its sportfishing legacy. A private club since its inception in 1898, the Tuna Club members are proud of their traditions, one of which is strict privacy. The current home of the Tuna Club is a distinctive building overlooking Avalon Harbor, which was rebuilt one year after the great Avalon fire of 1915. 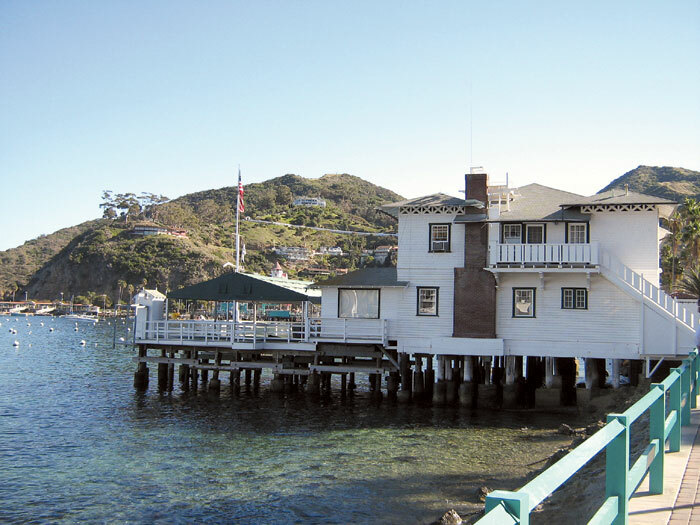 The club permits the public to tour the historic interior of the clubhouse only one day a year, with all of the proceeds benefiting the Catalina Island Museum. Rivkin, a historian and author, will conduct the tours Aug. 18. He will share the unique history of the club and its role in the birth of sportfishing, while examining the club’s extensive collection of angling artifacts, trophies and photographs. The Tuna Club’s greatest legacy stems from its founder, Dr. Charles Frederick Holder. Holder became a pioneer in ocean conservation by formulating regulations that continue to govern big game angling today. Members strictly adhere to the rules, and the club remains committed to ethical angling and preserving the sport’s traditions. The Tuna Club’s history includes a number of famous anglers, including Sir Winston Churchill, motion picture director Cecil B. DeMille, actors Charlie Chaplin and Stan Laurel, writer Zane Grey and Gen. George Patton. Tours will be offered at 1 p.m., 2 p.m. and 3 p.m., with tickets priced at $30 for museum members and $35 for the general public. For more information or to purchase tickets, contact the museum at (310) 510-2414 or visit catalinamuseum.org.